Wow your loved ones with your amazing cookies and fill your home with the irresistable smell of freshly baked cookies. Think of the fun you'll have and the compliments you'll receive from your friends and family when they see your perfectly cut cookies. 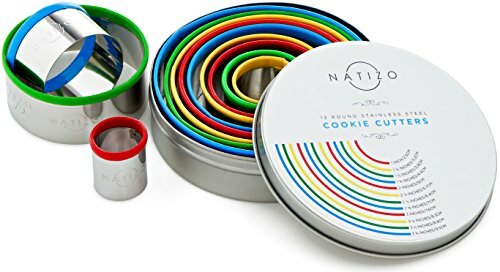 Our 12 piece round stainless steel cookie cutters are made from strong 304 stainless steel with soft, comfortable colored silicone tops. To make the set truly complete we have added the size on each cutter, so you will always cut the right size cookie. And we've color coded the silicone tops too, so you can quickly select the cutter size you need without having the go through the whole set. 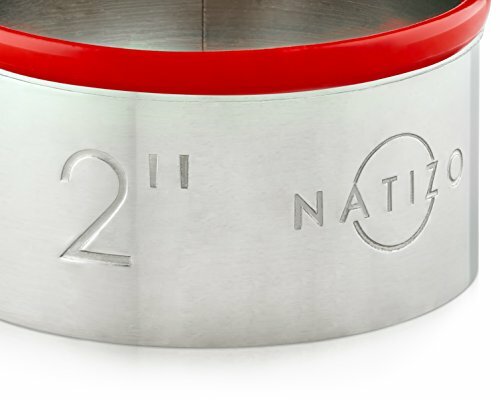 Natizo 100% Lifetime Satisfaction - Guaranteed! We are so confident that you will love your new cookie cutters that if you aren't happy with them, simply let us know and we'll promptly send you a full refund. No time limits and no hassle. There's absolutely no risk on your part. 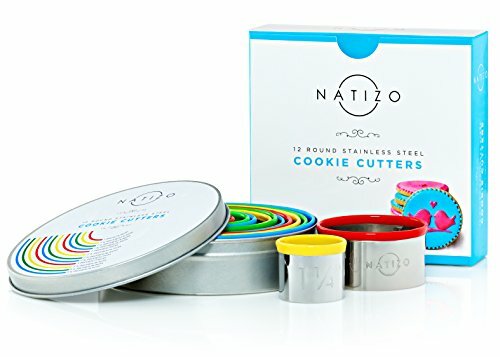 Bake someone happy and create the little memories that last a lifetime with the Natizo 12 piece cookie cutter set. 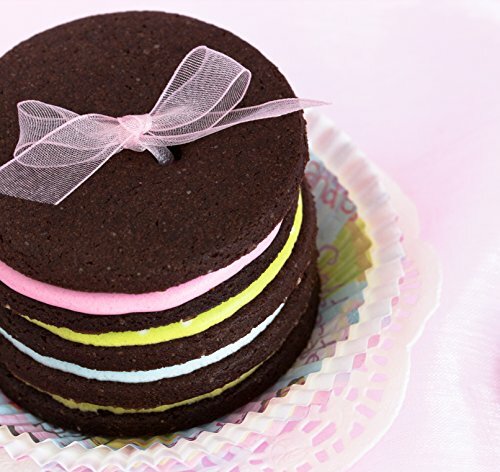 Click the add to cart button at the top of this page now to start creating exciting, beautiful and cookies that will wow your family and friends. ✓ WOW YOUR FAMILY AND FRIENDS WITH YOUR BEAUTIFUL COOKIES. Everyone loves fresh homebaked cookies. 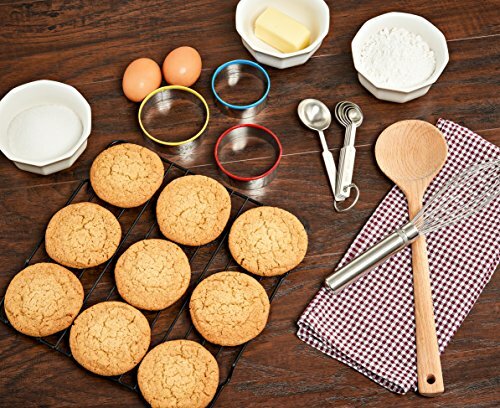 This deluxe cookie cutter set has plenty of sizes to be creative so you can bake cookies, scones, shortbread, doughnuts, pastry and cut fondant or icing for cake decorating. ✓ NO MORE GUESSING THE SIZES: PERMANENTLY STAMPED SIZES ON EVERY CUTTER. Avoid frustration and wasted time. 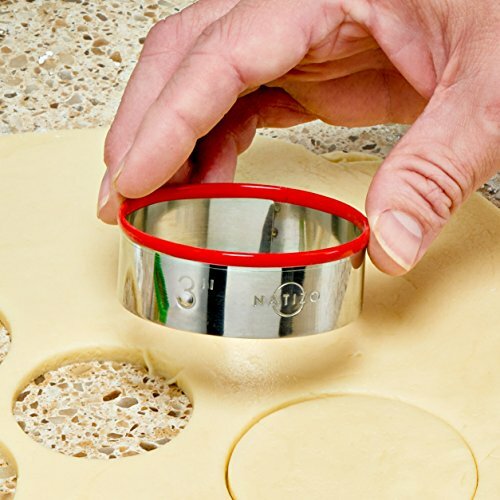 Every one of our 12 strong, stainless steel dough cutters, from 1 to 3 3/4 inches diameter, has the size stamped into the stainless steel, all nesting beautifully in the custom designed storage tin. ✓ SILICONE TOPS FOR COMFORTABLE USE. 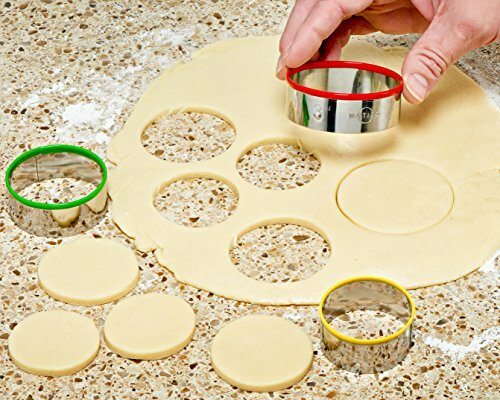 The comfortable silicone top on every cookie cutter makes them easier to use than standard plain metal cookie cutters. ✓ GIVE A GIFT THAT WILL BE APPRECIATED TIME AND TIME AGAIN. The smart presentation box and strong storage tine makes this round cookie cutter set an elegant and practical gift that will be used time and time again. ✓ 100% LIFETIME SATISFACTION WARRANTY. If you aren't happy with your cookie cutters simply let us know and we'll promptly send you a full refund. No hassle and absolutely no risk on your part. If you have any questions about this product by Natizo, contact us by completing and submitting the form below. If you are looking for a specif part number, please include it with your message.